Bird pitchers | Optimism and Co.
One day, I was sitting in my kitchen and I realised that I did not appreciate the blatant advertising on the cereal boxes, oil bottles, tin cans and other packages on my open shelves. I am working on a grand plan to eliminate unsolicited advertising in my home. 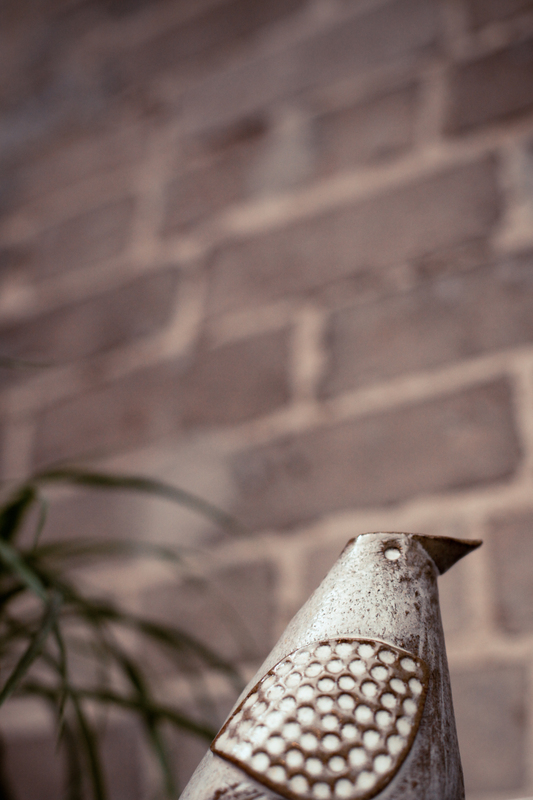 This bird pitcher is an original design and a step in that direction. It is a cheerful piece that is functional as well. It holds and pours oils, liquid soaps and perhaps sake. Let your imagination take flight!